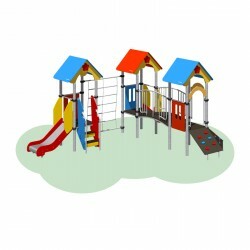 > Outdoor playground>Playgrounds>Playground "Sportkid 09"
By buying this product you can collect up to 206 loyalty points. 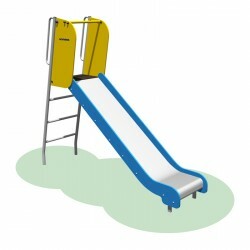 Your cart will total 206 points that can be converted into a voucher of 20,60 €. 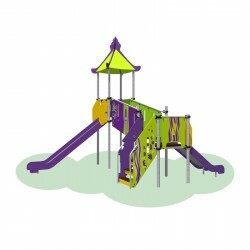 The playground is a gaming complex with various ladders and a slide. 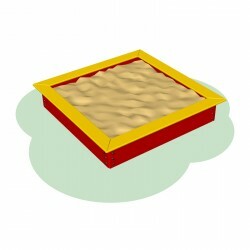 Does not require a lot of space. 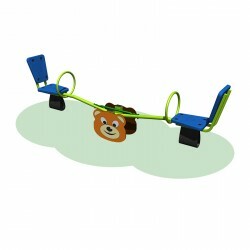 It helps develop a child's dexterity and flexibility, as well as strengthen muscles. Made from galvanized steel. 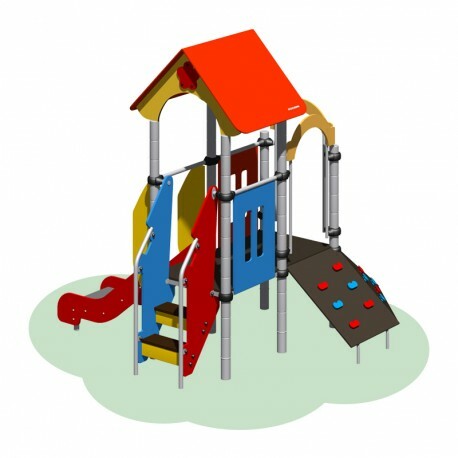 The playground set 2 is a small game complex with a house and two slides, one of which is for climbing. 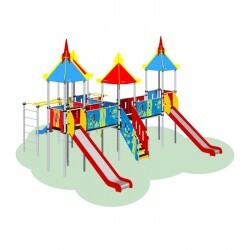 Suitable for even the smallest sites. Made from galvanized steel. 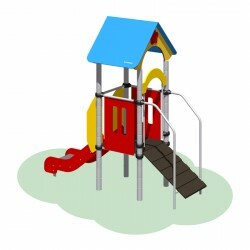 The playground set 3 is a complex with a house and a hill, monkey bars. 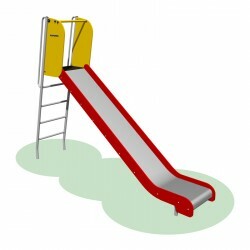 Various stairs. 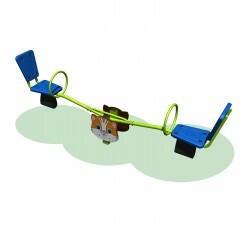 Helps develop in children flexibility, dexterity and strengthen muscles. 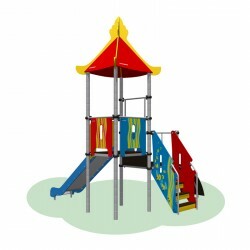 Suitable for small sites. Made from galvanized steel. 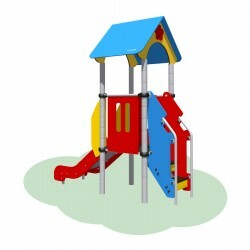 The playground set 4 is a small complex with two slides. 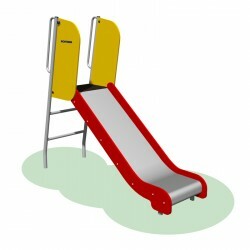 Well develops coordination and dexterity in children, strengthens muscles. 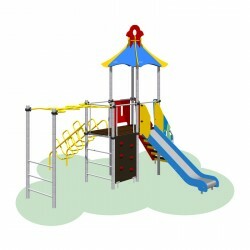 Suitable even for small sites. Made from galvanized steel. The playground set 5 is a complex with a house and a hill, monkey bars. Various stairs. 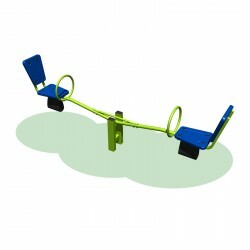 Helps develop in children flexibility, dexterity and strengthen muscles. 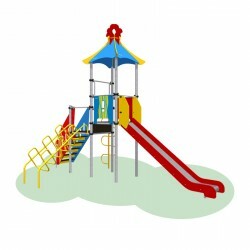 Made from galvanized steel. The playground set 6 is a complex of two slides, a passage, a monkey bar, various staircases, horizontal bars. 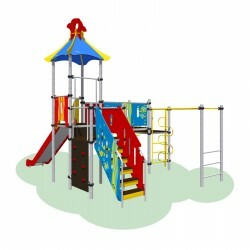 Well develops coordination and dexterity in children, strengthens muscles. Made from galvanized steel.